"Eupatorium Cannabinum" , A tall robust Perennial , Flowers July - Sept fluffy heads of tiny whitish pink to reddish mauve flowers, in dense clusters. 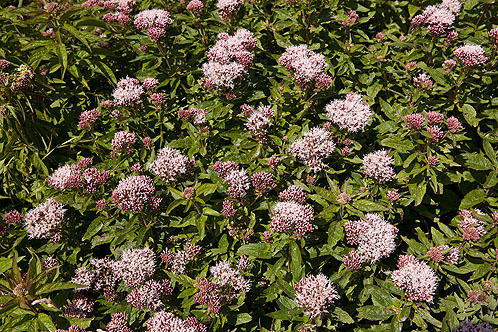 It is commonly found in damp woodland and hedgerows and alongside rivers and ponds. Its leaves are similar to that of the cannabis plant.